Already listed with our flags and banners directory? Any designs or any sizes of flags and banners in Phuket, you can order from Phuket flags and banners provider. 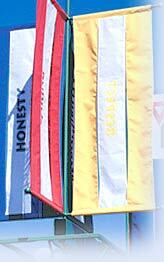 Find flags and banners services in Phuket to suit for your work to complete a project in Phuket easily.